Posted By Nathan On August 11th 2015. Under Blog Tags: resume booster, resume boosters . A “resume booster” is a part of your resume which adds interest, standout value, or high information value. International study is a true resume booster, if you manage it properly. Resume boosters can take many forms. They can also have a range of values. Depending on your current career situation, they may provide extremely valuable extra depth to your resume. One thing you need to know about resume boosters is that they are also extremely flexible and adaptable to different situations. Photos and graphic materials on your resume are cases in point. Pictures do not paint a thousand words, but they do provide useful illustrations of situations, and definitely add interest to any resume. Photos from your work overseas, your study experience, or your academic achievements work as highlights within your resume and help for interview invitation. They also function as competitive assets, differentiating your resume from other applicants. The real value of photos within resumes, however, is much more practical. You can use photos and other graphic images as working information within different elements of your resume. A picture of your workplace overseas, in conjunction with your resume information, adds significant value when you are writing your resume. Graphics related to performance, studies, academic research, or other high value information enhances those areas of your resume. 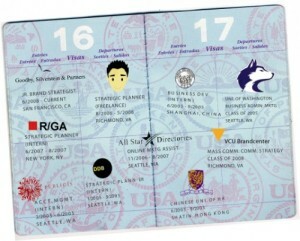 Photos and graphics act as de facto proof of your professional credentials regarding international experience. If all this sounds a bit good to be true, the fact is that your photos and graphics and other resume boosters really do need to be high-quality. You can’t just use any old photo or visual aid on your resume, of all places. When selecting your photos and other visual resume content, be extremely fussy. Your resume isn’t your Facebook page. You can’t put just anything on it. Be prepared to take a little extra time to hunt down good, relevant photos. Note the word “relevant”. If you put on your resume that you have worked or studied overseas, your photos and pictures must directly relate to that resume information. Use only good quality photos. Don’t get too ambitious if you think you can photo shop unwanted things in your pictures. Unless you’re an expert, photo editing will be pretty easy to spot. You don’t have to use formal photos, but it is a good idea to use the same type and quality of photo that you see in college homepages. This type of photo is fine, and guaranteed not to be any kind of problem on your resume. Use high-definition photos only. These photos reproduce much better in documents, and photo quality isn’t usually lost. Generally speaking 300 PPI is the accepted best practice HD quality photo. If you’d like to know more about using photos on your resume, check out this link here which offers a lot of information about practical use of photos as resume boosters and some very interesting photos indeed. Images are taken from: wordpress.com, bestdesignoptions.com.